Standard 5.0" TFT display module with RGB interface with projected capacitive touch panel and with mounting frame. Standard 5.0" TFT display module with RGB interface and with mounting frame. Standard 5.0" TFT display module with RGB interface with resistive touch panel and with mounting frame. 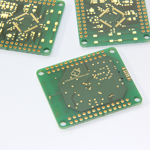 Standard 5.0" TFT display module with RGB interface with projected capacitive touch panel. Standard 5.0" TFT display module with RGB interface. Standard 5.0" TFT display module with RGB interface and with resistive touch panel. Standard 7.0" TFT display module projected capacitive touch panel with RGB interface and with mounting frame. Standard 7.0" TFT display module with RGB interface and with mounting frame. 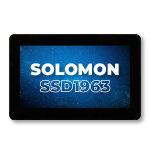 Standard 7.0" TFT display module resistive touch panel with RGB interface and with mounting frame. Standard 7.0" TFT display module projected capacitive touch panel and with RGB interface. Standard 7.0" TFT display module with RGB interface. 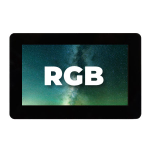 Standard 7.0" TFT display module resistive touch panel and with RGB interface. Standard 5.0" TFT display module with FT812 controller, build in led inverter. Standard 5.0" TFT display module with resistive touch panel and FT812 controller, build in led inverter. Standard 5.0" TFT display module with PCT (Projected Capacitive Touchscreen) and FT813 controller, build in led inverter. Standard 5.0" TFT display module with FT812 controller and mounting frame, build in led inverter. Standard 5.0" TFT display module with resistive touch panel, FT812 controller and mounting frame, build in led inverter. Standard 5.0" TFT display module with PCT (Projected Capacitive Touchscreen), FT813 controller and mounting frame, build in led inverter. uxTouch 5.0" TFT display module with specially designed PCT (Projected Capacitive Touchscreen) and decorative cover glass black. 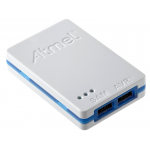 FT813 controller, build in LED inverter. uxTouch 5.0" TFT display module with specially designed PCT (Projected Capacitive Touchscreen) and decorative cover glass white. FT813 controller, build in LED inverter. 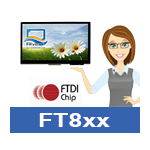 Standard 7.0" TFT display module with FT812 controller, build in led inverter.